IT’S A FACT . 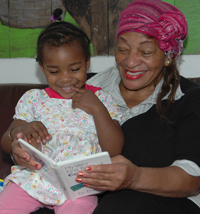 . . Low literacy hurts our children, our communities. 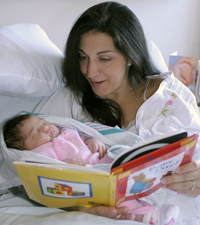 Earliest childhood literacy opens a way to a healthier tomorrow. Close to a quarter of all American children live in poverty. By the age of 3, many children in low-income homes have not heard enough words to be prepared for success in school. Some have heard as many as 30 million fewer words than have children from families of higher income. Of children struggling to learn to read in 1st grade, nearly 90% will be poor readers in 4th grade, when reading to learn is essential. 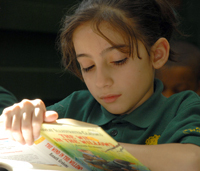 Children who are not reading at a proficient level by 4th grade are four times more likely to drop out of high school. High school drop-outs cost the U.S. more than $240 billion in lost earnings, lost tax revenues and expenses to social services. Dropping-out increases the risks of poverty, threatens the foundation of communities and causes strain within families. The lasting personal effects are often much greater than the national fiscal burdens. The average middle-class child is likely to own 13 books at any given time, while the average low-income neighborhood has one book for every 300 children. The number of books in a home has a more direct effect on the eventual level of a child’s education than do the parents’ education and economic standing.